Incredible for Stoops considering his background as a DC. Props to OSU's official website for the shoutout. COLUMBUS, Ohio -- Urban Meyer's teams have averaged 37.4 points per game over the duration of his 15-year, 194-game head coaching career. Only one other coach who has coached at least 15 seasons has had teams score more than Meyer's teams over this time: Bob Stoops; by one-tenth of a point. 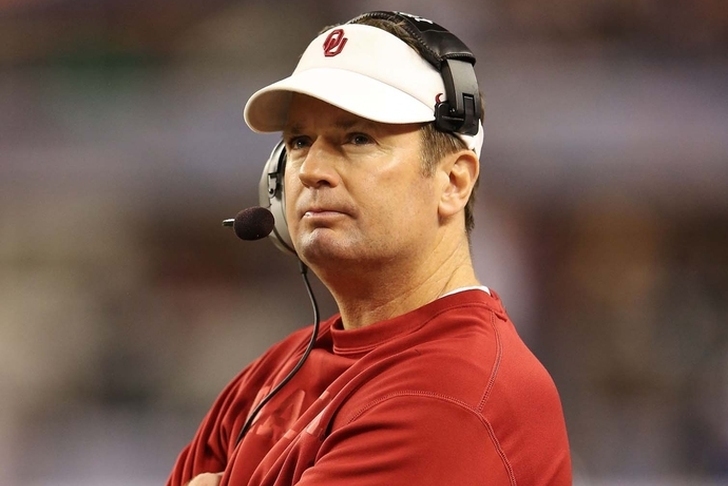 Stoops has employed seven offensive coordinators over his career at Oklahoma, including Ohio State's new coordinator, Kevin Wilson. Wilson will be Meyer's seventh coordinator, and the first who was a prior head coach. Five of Meyer's previous coordinators went on to become head coaches. All six helped Meyer's offenses and teams experience terrific successes. In six days, the Ohio State offense under Meyer and Wilson will start taking shape.